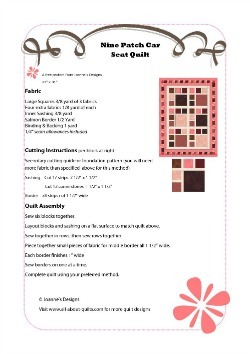 Nine Patch Car Seat Quilt 23" x 31"
Joannes Designs Week45 'Nine Patch Car Seat Quilt' a very small quilt designed for use on a baby's car seat with ties at the sides to secure it on so the wind won't blow it off. This quilt is also great as a wee dolls quilt! Suitable for the American doll and other similar sized dolls. I am keen on these wee car seat quilts at the moment. I am currently quilting my first two car seat quilts for family members and they are not only very quick to make but so cute! Below I have shown the one block used to make this quilt. It's finished size is 7" square. I have used nine different fabrics in this quilt. 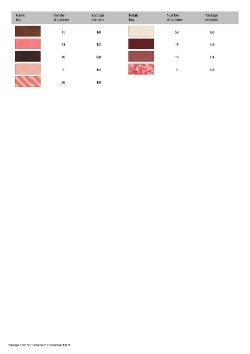 Seven fabrics in each block and two extra in the middle border. 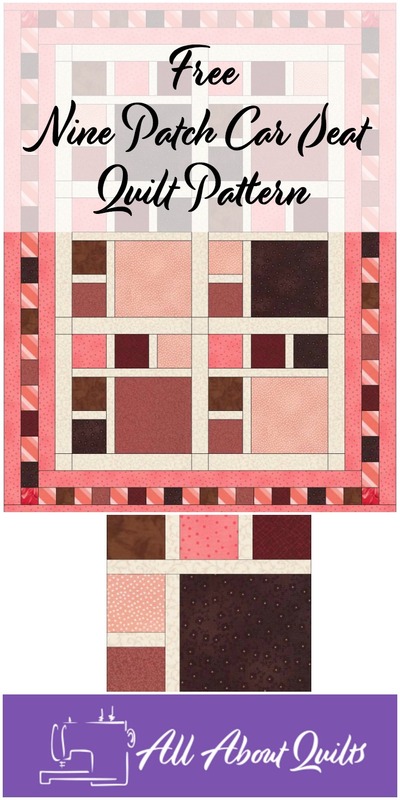 When designing this middle border I have created a pieced border and it was unintentional to have a different size of fabric in the horizontal then the vertical border. 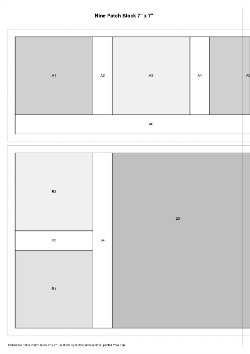 It would be best to alter this to cutting each piece of fabric 1 1/2" x 1 1/2" square. 1. Cut fabrics following the rotary cutting guide. 2. 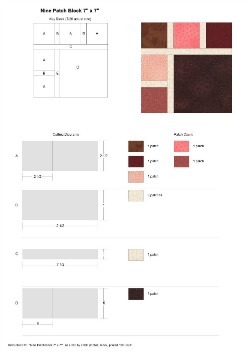 Lay out each block adjusting fabric placement to suit. 6. Lastly sew 'C' on. 7. Repeat till six blocks are complete. 8. Layout blocks and sashing and sew together in rows. 9. Sew inner border on - sides first the top and bottom. 10. 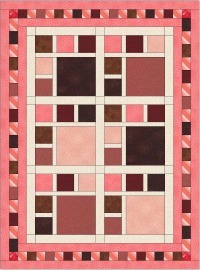 Make pieced border and sew on. Repeat for remaining borders. I hope you enjoyed Joannes Designs Week45. Just 7 patterns to go!